element of our primary prevention of cavities. We believe fluoride to be a spectacular element of our primary prevention of cavities. Fluoride is a naturally occurring element, which has shown to prevent tooth decay by as much as 50-70%. We also understand that fluoride exposure can be individualized for each child. Our professional use of fluoride is used with the fluoride varnish vehicle (an adherent film for slow release). Children may eat and drink immediately after application, but do not resume brushing and flossing habits until bedtime to gain maximum benefit. Children enjoy their “tooth vitamins” that Westerville Pediatric Dental uses. Teeth are cleaned with the rubber cup and the flavored paste your child chose. Teeth are dried with a piece of gauze. The child is shown the small brush that will be used to paint the teeth. The fluoride varnish or “tooth vitamins” are applied. The fluoride is sticky so that it will adhere to teeth for as long as possible. Converts weakened enamel crystals to stronger acid-resistant crystals. 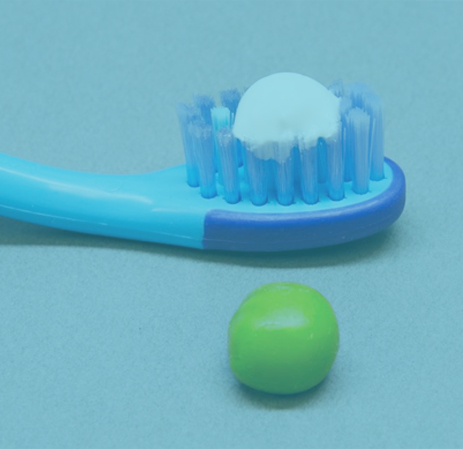 According to the Academy of Pediatric Dentistry, children under the age of three should use an ADA-approved toothpaste with a “smear” or “small grain of rice” (approximately 0.1 mg of fluoride). 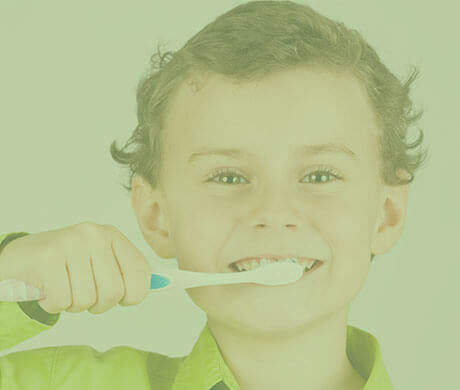 Children between the ages of three to six years old should use a pea-sized amount of ADA-approved fluoridated toothpaste (approximately 0.25 mg of fluoride) on a clean toothbrush twice each day. Encourage your child to spit out the remainder of the toothpaste.